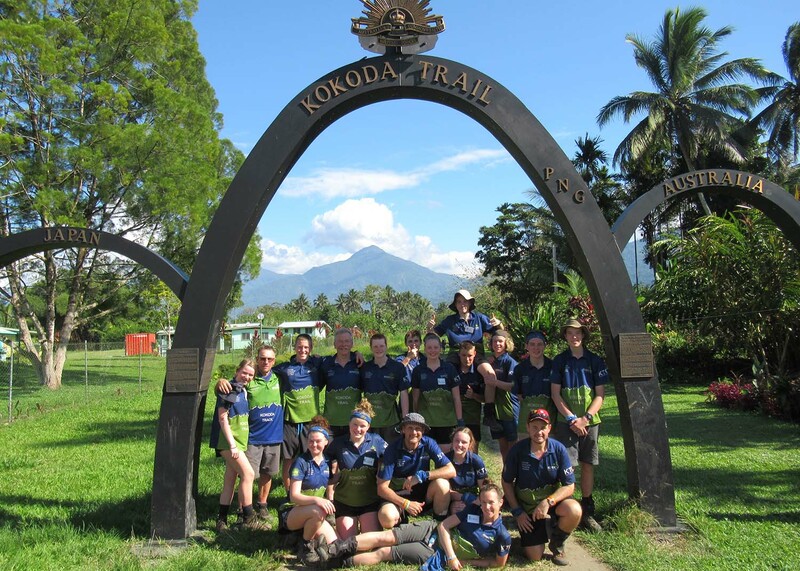 On Saturday 22 September to Thursday 4 October 13 Year 10 students and 3 staff hiked the famous Kokoda Track in Papua New Guinea. The group laughed together, cried together, and laughed some more all the while making a very successful crossing of the Owen Stanley Range. 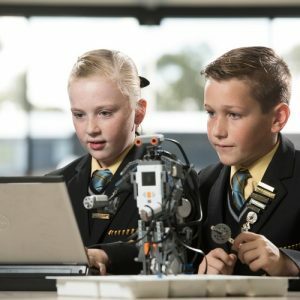 The enormity of the students’ achievement should not be overlooked. Only a few thousand people attempt the track each year. It is recognised as one of the hardest walks in the world. 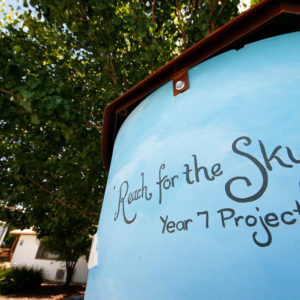 This experience highlighted to the students of just how capable they are. Each and every student did an amazing job of digging deep when required to push up some exceptionally steep mountains and down many just as steep slippery slopes. We woke each day at 4.30am to pack, eat breakfast by torchlight and scale a few mountains all before their normal waking time. Students met, sang and played football with the mountain village children who are some of the happiest people in the world, all the while being in awe of the simplicity of their lives. No mobiles, no internet, no TV. It’s no wonder the PNG children are so happy. This really highlighted to our students what in their own lives is most important. Our trek leader, Laurie (and his assistant, Greg) from Adventure School Treks did a tremendous job of instructing, motivating and ensuring the groups safety on the trip. 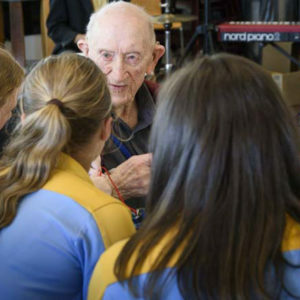 They both went beyond their duties to provide an in depth history of the Kokoda campaign, they facilitated remembrance services, provided ongoing advice and kept us entertained. 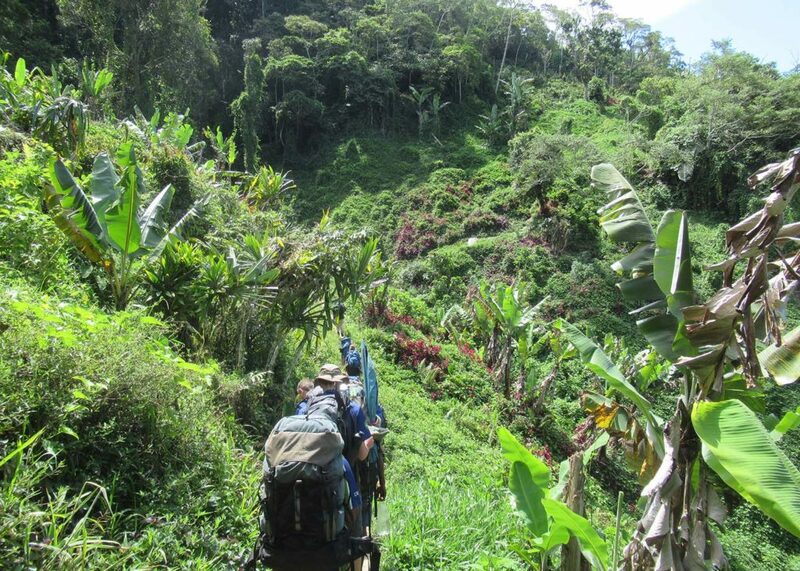 Laurie has led more than 30 treks across the Kokoda Track. 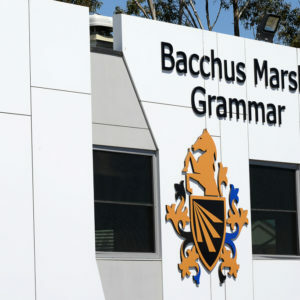 He places the BMG student group at the top of his list for being the most enjoyable and fulfilling based on the students positive attitude and willingness to support each other. This is a credit to the students themselves and their upbringing. Every student had a tear in their eye when the time came to bid farewell to our incredible group of Buna Boys. These gentle giants carried our equipment, cooked our meals, cleaned up, sang for us, set up sleeping tarps, caught us when we fell and were always there to provide a smile and helping hand when required. This group of amazing support staff was one of the highlights of the trip. The students arrived home exhausted and smelly, however each grew immensely as a person. 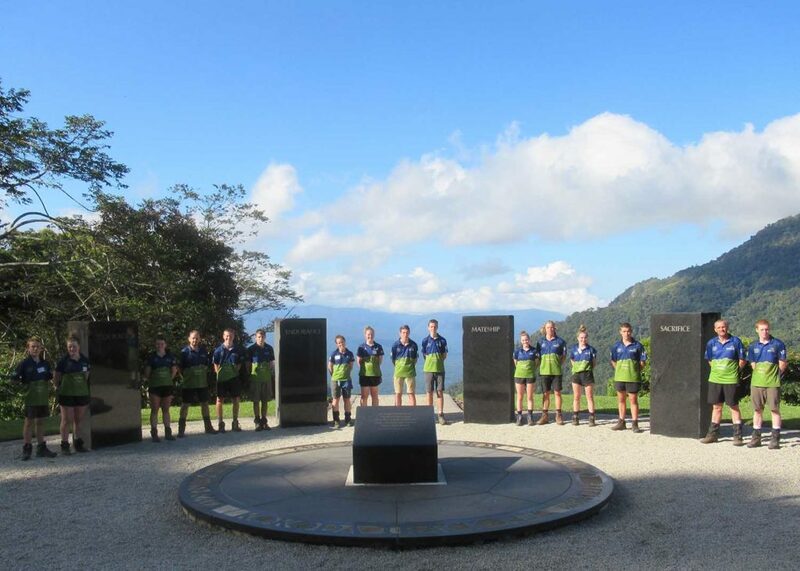 This will become evident over the coming days, months and years as they reflect on their Kokoda experience. Each has spoken of their increased appreciation for everything from those who have fought for the freedom of our country to having a tap high enough to enable hair to be washed. (We saw our first hot water tap for the trip on day 12!) On the trip we spoke about drawing on the courage, endurance, mateship and sacrifice of the Australian soldiers and Papua New Guineans who protected our shores in World War Two. We asked the students to draw upon these qualities to take on new challenges with confidence, to push through difficult times, to provide support to others and to live their own lives to the fullest. Papua New Guinea is a beautifully diverse and unique country. For being our closest neighbour its culture, environment and living conditions are so different from our own. This provided some interesting challenges for the students, from the high humidity to the lack of toilet seats. Each of these challenges provided its own learning opportunity, of which students overcome and have locked away for future reference. The BMG Kokoda Track staff, Andrew Perks, Jenna Nicolle and I feel so honoured to have been able to share this unique experience with this incredible group of young people. 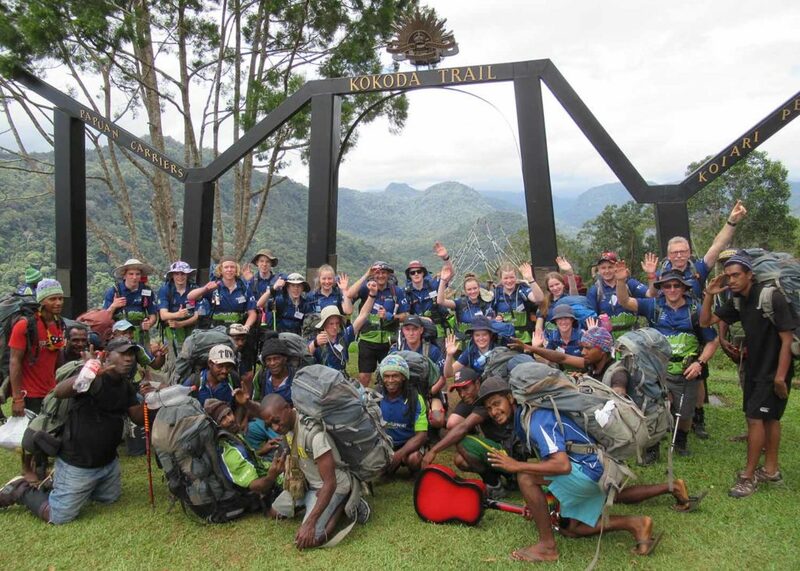 Kokoda 2018, has and will continue to draw the very best out of each student. It truly provided an education for life.